Is there any breed restriction? There are some rent apartments which are more pet-friendly than others. Therefore, your first and most important question must include breed and weight restrictions. 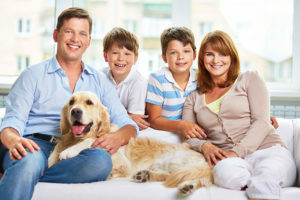 Don’t forget, breed restrictions are not just subject to the whim of management or the apartment community owners but may be dictated by building insurance policies. Before you sign your lease or agreement, its typical to be asked to provide documentation of your pet’s breed, immunization records, and weight. So, if you have a dog which is bigger in size, look for large breed dog-friendly apartments. 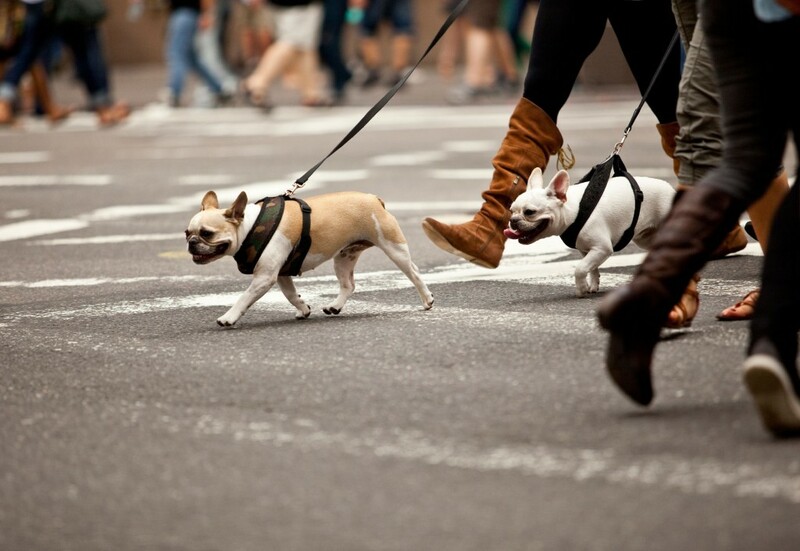 Before you move into a new apartment with your pet, create a budget for the monthly pet rent. Most apartments charge additional monthly pet rent. Pet rent may vary according to the size and breed of your pet and typically covers the additional maintenance and upkeep of the building caused by pets. In New Rochelle, pet rent can range from $25 to $100 per pet, per month. This rent covers any potential damage such as carpet stains, scratched floors, damaged doors and pet-friendly amenities you and your pet will relish. Along with monthly pet rent also keep notes about pet deposit to make an informed decision on which apartment best suits your budget and needs. There are some apartments that will require a pet deposit before you move-in. The pet deposit may or may not be refundable and is used to fix apartment damage caused by your pet. For instance, if your cat scratches the wall regularly, the cost to repaint the will be deducted from your pet deposit. These deposits can vary depending on the community’s policies. You may have to pay as little as $100 or as much as $500, again depending on the community policies and type/size of your pet. Any restriction on the number of pets in each apartment? You must ask it in advance how many pets are allowed in each apartment. Remember pets refer to dogs, cats, birds and even aquariums. From time to time, most apartments perform routine inspections to check the number of pets housed in apartments. So, make sure you know how many pets are allowed before you sign an agreement. What amenities are offered to pet owners? The good news is pet-friendly apartments are in high demand. 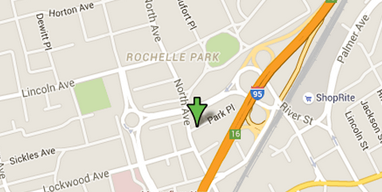 You can view many apartments around New Rochelle and Westchester County that have installed dog parks. Even some dog parks are being built with pet-friendly amenities like pet wash stations. Indoor Washing Station and Pet Spa, etc. So, don’t forget to ask these questions before you finalize a pet-friendly apartment for you in New Rochelle or Westchester County. As one of the most visited cities across the world, New York City attracts millions of foreigners or expatriates each year, be it for recreation or work. 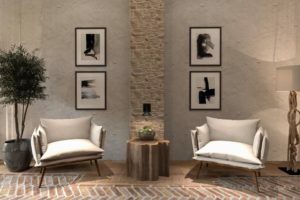 Being an outsider or first-time visitor, it can be difficult to find the right place to look for your basic and necessary amenities in the city. From different problems faced by expatriates, the biggest problem is to find proper accommodation. Whether you want Rochelle place apartments or Westchester apartment for rent, you can take help from a real estate agency like “The Lombardi” to make apartment hunting process easy and smooth. There are several basic things you need to keep in mind while finding a rental place. This post is meant to help you with easy tips to find an ideal apartment for rent in NYC or any other place on this planet. If you are new in NY, one of the biggest challenges is to find an apartment in an area that is well-connected. As a global city, New York is quite expensive that means accommodation charges will be higher than your expectations. If you want to rent an apartment in the heart of the city, you have to pay a hefty amount. The best solution is to find a balance between affordability and connectivity. While considering different neighbourhoods in NY, you could possibly find a reasonably-priced apartment in Westchester, White Plains, or New Rochelle. 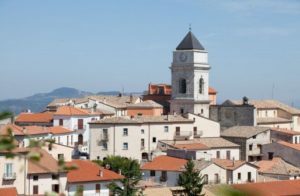 As an expatriate, whether you’re seeking Rochelle place apartments, Westchester apartments for rent, or any other, it is essential to plan out your budget first. Even if you have to expand your budget, do not spend more than 30% of your monthly income. It can help you in assuring that you are left with an adequate amount to spend on your other necessities in an expensive city like NY. The NY city offers different accommodation types including apartments, mansions, single-household structures, and more. The type of accommodation you want is closely related to your budget. Just for your information, the older houses and apartments (more than 10 years) usually cost less. The ideal way to find cheaper and older accommodation is to consult a real estate agent. Another important point is to have an exact idea about the lease period. You should be aware of all the policies of your lease agreement. Read the lease carefully before signing to avoid any trouble later. These are some basic yet essential tips you need to follow to find an ideal rental apartment in the city within your budget. Finding a rental accommodation is not an issue anymore if you consider these tips. Welcome to The Lombardi. Whether you’re looking for your next perfect rental apartment in Westchester, Mount Vernon, White Plains, New Rochelle, or any other area in NYC, you can take help from The Lombardi. We provide you with valuable and extensive knowledge about renting a comfortable apartment to stay in New York. From our wide range of apartment options, you can choose a perfect rental place depending on your desired location, budget, comfort, and convenience. The Lombardi offers reasonably priced luxury apartments in areas such as New Rochelle, NY; Westchester, NY; White Plains, NY; and others. You can explore all our apartments to find your dream living space in the city. Our beautiful and high-quality apartments can make you feel at home. Regardless of your rental apartment priorities, when it comes to finding a luxury apartment, you can rely on The Lombardi! After stepping out of your hometown or home country the first crucial task is to find an apartment of your dreams. Whether you are alone or with a friend, this task is quite challenging. Various constraints should be kept in mind while looking for your dream apartment. Everyone looks for an apartment that matches best with their lifestyle and provides all the modern facilities but finance/budget becomes the biggest constraint. 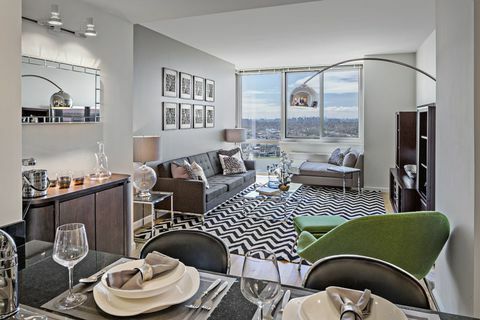 Searching for an apartment in a big and modern city can be daunting. You need to take care of a lot of considerations while searching for an apartment. Here we have compiled a few tips for you. Let’s go through them before hunting for an apartment. The most important thing to keep in mind is the location of your job/business. One should always look for an apartment near his or her work site. This helps you to save precious time and money. Moreover, it takes less time to commute to your work site and dramatically improves your quality of life. While hunting for your dream apartment you have to consider your budget. Often we just look at the major aspects like oceanfront or water views, spacious dining hall, living rooms, beautiful outside window views etc. and tend to overlook our budget. So, rather than looking for more than is required, it is important to look an apartment that suits your needs and budget. It’s really relevant to consider various other costs involved before signing any deal with the landlord. For instance, Is there any security charges in advance to be paid? Any additional taxes to be paid? What is the mode of payment weekly or monthly? this will help you to plan your budget in a more accurate way. It’s good if you have your own car or two-wheeler to go to your work site but still, It’s good to check for public transportation service in your area. As this not only is helpful in case of an emergency like situation but also helps you a lot in saving your hard earned money. An apartment building like The Lombardi is close to Metro North Railway with direct access to Grand Central Station in New York City. Another point worth considering is whether your new apartment has sufficient parking space for your vehicle or not? What kind of facilities in the apartment you are looking for? Like do they provide washer, dryer, dishwasher etc? Enquire about all these items in advance of getting surprised upon move in. Public Places like bus stand, Metro North Trains, Hospital, Market, School or College and Universities are important places to consider. So it’s cost-effective and easy to visit these places if they are situated near to the apartment. So keep this point clearly in mind while hunting for an apartment. Although, needless to say, yet the most important point to consider is the quality of the material used in the apartment. Because poor quality material used in an apartment can jeopardize the health and safety of all the concerned. If you are a pet lover then it’s good to know the pet policy of that community in advance. Whether they allow keeping a pet in the apartment or not? Above discussed are the main points to consider while starting your hunt for a new apartment. 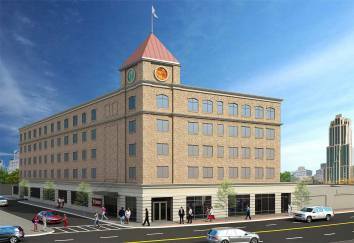 So if you are really looking for apartments in Westchester New York, the New Rochelle apartments truly fit the bill. Here you can get apartments at very reasonable price with world class facilities. So what are you waiting for? Come and book your apartment now at The Lombardi and enjoy living in spacious rooms with all modern facilities. The topmost concern while renting an apartment is the RENT. Therefore, it is important to know what you are getting in it. Some rents include basic utilities like water gas, cable and Wi-Fi. So, when renting an apartment, make sure you are clear about what you are getting complementary in the monthly rent. This is one of the best consideration that may help you to make a choice. Are you getting the Parking? If you own a vehicle, this is another important question you must ask. Is the parking included or you have to pay extra fees for it every month? These are the major questions you should ask. If you have been asked to pay extra for the parking, make sure to look for the options that provide parking within the rent. What About the Guest Policy? Ask for the rules like when guests can stay and for how long. This is another important question you have to ask before renting an apartment. Some rental companies have rules that guests can only stay at night for a day or two, while some don’t care for long someone is staying with you. If someone is a frequent visitor, make sure to register their vehicle number so they can easily park their car without any hassle. Remember, knowing the guest policy is very important to ensure that you are not taking some risk against the lease term. This is another important question you should ask as pet policies are different from apartment to apartment. Whether you own a pet or think you would have one in the future, be clear about the pet policies before renting an apartment. Although, you may find many pet-friendly apartments in NYC, but it is important to ask them about their policies. Ask if you need to pay extra monthly cost, and discuss the species, breed and weight of your pet. Many times you will find rentals that ask you to pay a non-refundable pet deposit to cover the potential damage that may happen. How the Repairs will be handled? During your rental term, it is quite obvious at times you need some sort of repair. So, it is wise to ask about the repair and maintenance requests and how they will be carried out. It includes everything from repair, maintenance, plumber fees etc. Is the lease renew automatically? Ask for the automatic rent renewal policies. Even if you have to sign the lease for a specific period of time, then some rental firms renew it after an initial term automatically. Therefore, before renting an apartment, ask if there is an automatic renewal. If you are not sure that you will stay for a long span of time, then schedule a reminder two months before your lease is ending. When looking to rent an apartment, always make sure to ask a relevant question before moving the head. Remember, changing apartment in a one month or two is a complete waste of money, time and efforts. So, choose wisely! Finding an ideal apartment is an essential task when you’re stepping out alone or with your friends and family to a new place. Whether it’s your first experience or you’ve gone through this before, finding your dream apartment that suits both your budget and lifestyle is not an easy task. When searching for an apartment, there are a lot of things you need to think about. If you’re searching for the right apartment, this post can be quite helpful. Have a look at these important considerations and keep them in your mind while hunting an apartment. 1. Make a List: The first thing you should do is make a list. In this list, add all your priorities and concerns before starting with the apartment hunt. Use a notebook to list down all the things that should be considered such as the apartment layouts, budget, and the rules. This list can help you in making the right final decision by comparing your priorities while viewing a lot of apartments. 2. Price of the Apartment: While looking for an apartment for rent, one of the most important questions you need to ask yourself is “what is your budget?.” Before finalizing an apartment, you need to analyze that “can you afford that apartment?” Do an online research or look at your surroundings to get an idea about the rent. Ensure you have an idea about the market rates before finalizing an apartment and making negotiation in the price. 3. Quality Matters: Never make your decision based on the property photos you see online. You should visit the apartment in person before coming to a specific decision. You need to make sure that cosmetic issues like wall scratches and broken blinds are fixed. 4. Walk Around the Neighborhood: What else you need to consider while searching for a rental apartment? Your neighbourhood is definitely the main thing. Your surrounding influences your lifestyle and behaviour. So before signing a contract, take a look around the neighbourhood to get an idea of the community. Look into the safety records of the area and other rules of the community. 5. Know the Pet Policy: If you have a pet or planning to get one, it is great to know the pet policy of the community you’re going to shift in. Make sure the community is pet-friendly to avoid any kind of hurdle later. 6. Apartment Size: Last but not least, the size of the apartment. Firstly, determine what size of house or apartment you need. The size of the apartment can vary depending on the people. Know your requirements before beginning your apartment search. Once you decide it, start exploring the apartments. These are some crucial things you must think about to make the right decision. Are you looking for luxury rentals in white plains in NY? For an easy and convenient experience, it is recommended to take help from the real estate agents. There are several real estate agents in the city who can help you in finding an apartment of your choice. For a reliable experience, you may visit The Lombardi. No matter, what is your budget and which location is your preference, discuss your priorities with us and let us help you in finding your dream apartment. Choose any area across NYC, have a look at our affordable New Rochelle, Peekskill, and Westchester apartments for rent. We have brought some great rental apartments’ deals that can meet the requirements of all types of tenants. Our apartments provide true value to your money! Size: Determine the size of the apartment you are looking to rent. If you are a couple, normally a one-bedroom apartment sill suffice. However, if you are newly married, thinking of starting a family or work from home often, a two-bedroom apartment may be the best option. Choosing the right size apartment can make living easier and allow you to minimize moving around as much. Rental Price: Another thing to consider when searching apartments for rent in New Rochelle NY is the rental price. Of course, going over budget is not a wise move, so you should look for something within your budget. Look at local listing sites and find what are the normal rent prices in the area. Settle on the price range you can afford and don’t forget to consider the cost of gas and other utilities along with your commuter costs to get to work. According to the standard rule, your rental payments should not be more than 30% of your gross monthly salary or income. 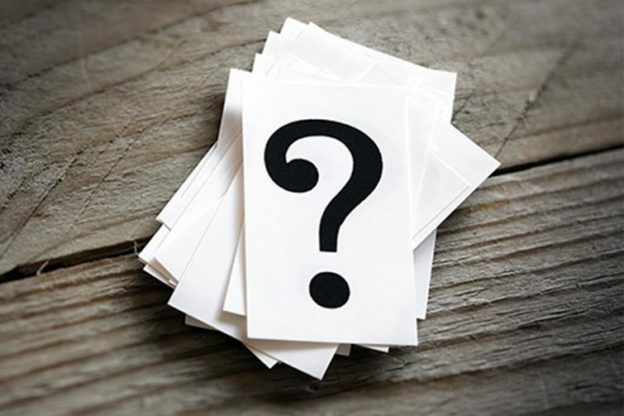 Location: When selecting a rental apartment you should look for aspects such as the following: Is the location close to a downtown area for groceries, work, school or hospital? Is the location near major transportation hubs, like railroad, major highways, bus stations? What is the location’s walk score? Locations with high walk scores mean you may not even need a car to get around, another major cost savings. The Lombardi has a Walk Score of 91, making it a walker’s paradise and daily errands do not require a car. Parking: This is another important aspect you need to consider when renting an apartment. Whether you own a two-wheeler or a four-wheel vehicle, you should make sure that you have enough parking spaces where you are renting an apartment. Also, don’t forget to ask the number of cars allowed and if there is an extra fee for extra cars. Pet-Friendly: If you have a pet or intend to get one, it’s very important to receive permission or carefully review the landlord’s rules on pets. Some landlords won’t allow pets, but others may ask you to deposit some additional fees and pay an extra monthly rent based on the type of pet you have. The Lombardi is a pet friendly building, and we love our pets. When looking for apartments for rent, make sure to look around. Make a list of concerns and priorities and then start with the apartment hunt. You can use a notebook to write down the rules, prices and the apartment layouts. It can be a huge help when you view a lot of apartments and want to compare your priorities before making a decision. Today, you may review all sorts of apartments for rent. 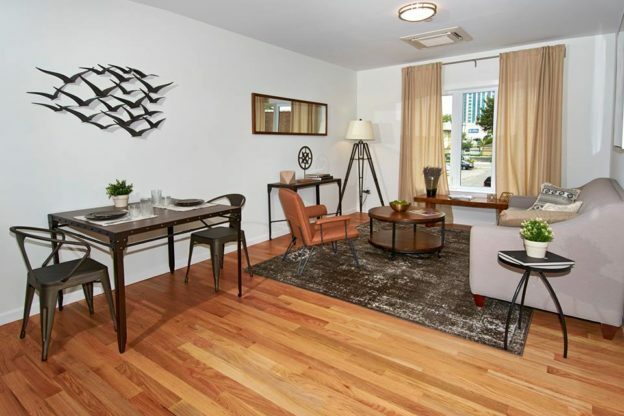 From one bedroom to two bedroom apartments, you will be stunned by the choices available. If you are looking for the best apartments in New Rochelle NY, then visit The Lombardi. We have got some great rental apartments that meets the needs of every type of tenant. What’s the first thing that pops up in your head when you couldn’t make a breakthrough to buy a luxury apartment? Certainly, it is the leasing option you may want to investigate in such case. While you are looking for luxury apartments for rent, there are a couple of other things that you should look into. The modern amenities that a luxury apartment has to offer are sure to excite and intrigue you. However, there are some important guidelines that a tenant must look for before signing on the dotted line. Set your budgetary limitations and see how well you are following the income rule – not to surpass 30 % of your monthly salary. Your focus should be based on this income rule and you must not compromise even if you discovered a better deal in the desired vicinity. Also, make sure it is worth spending the extra money on the luxury apartment. Apart from that, closely investigate the extra charges not included in your rent for the facilities offered by the Landlord. Many luxury rental buildings in New York charge tenants extra for amenities, even if the tenant does not use them. In addition, check for extra utilities not included in your apartment rent, like electric, heat, water and sewer. Many luxury apartment buildings in Westchester County advertise a certain apartment rent, but when you factor in all these additional fees, you can easily add several hundred dollars per month. For instance, search for 2 bedroom apartments for rent in the Bronx. There are ample amount of apartments in the New York but the hottest and most affordable ones are rare to find. Therefore, it is essential that you narrow down your search. Just like you prepare a resume for your job application, your renter’s resume must include all the necessary information including; the previous address with owner’s number, personal references, your income and your credit report. Make sure your rental resume impresses your landlord and depicts you as a trustworthy tenant. In simple words, you must look good on paper and that you are a trusted citizen with no criminal record. Don’t forget to inspect the apartment. This is the most important thing to consider for everyone looking for the luxury apartments for rent. Try not to let the looks of your apartment deceive you. Even though the luxury apartments come with a good maintenance service, it is better if you try to inspect on your own first. Look for the hidden damages or imperfections and don’t be hesitant to ask for the repair if you discover anything out of repair in your new apartment. It is better to inform the landlord in the beginning than to be blamed later. Luxury apartments do not come cheap. Although many are worth the extra investment, new renters need to be careful not to overspend. It’s easy to be wowed by new amenities and fancy common areas, but you need to make sure they are of added value to you. If not, you will find yourself paying extra charges every month for facilities you don’t use. Typically known as one of the highest-taxed counties in America, Westchester does attract renters looking for cheaper places to live. Although New York can be the best choice for the people looking for luxury apartments for rent, the high prices are not everyone’s cup of tea. So, whether it’s a downsized budget that is driving you toward more affordable rentals or you just want to get out of the city for a while, Westchester is certainly not going to let you down. Here is the handpicked list of the places in the county that you may find attractive. Ossining’s Old Village section is crowned for one of the best places to live. The rich history of the place and the natural areas that are under redevelopment, are something that you sure want to take a look at. Where certain homes are sold for much as $1 million, there are several others that may intrigue you with a price as low as $325,000. It’d be a bummer if you couldn’t find a rental apartment between $1,500 to $3,000. All-in-all, Ossining is a quiet place and a relaxed town. With crime rates lower than the other parts of the country, it is perfect for the singles, retirees, and new families alike. In simple words, it is a perfect combination of both serendipity and serenity. Yet another – Best Places To Live – pick, Peekskill will certainly sweep you off your feet and make you think, “what more do I want for a reasonable deal!”. Rents are quite reasonable ($1,300 to $2,500) and easy to afford. The annual income of people around the riverside city is $52,000 therefore, it wouldn’t be much of a problem for you to manage average rents. A recent influx of professionals and young artists made the area popular among the renters and buyers. Speaking of which, apartments in Westchester NY are high in demand these days for that reason. With New York City and Grand Central Station at under an hour train ride, many locations around Westchester County will peek your curiosity with local businesses and amazing food outlets. New Rochelle is easily the best choice for both luxury apartments for rent and house-buying opportunities. While the average house is sold at a little higher price ($645,000) than that of Ossining and Peekskill, it is slightly more developed than these river towns. Also, New Rochelle is one of the closest cities to New York City including Manhattan and the Bronx. It’s a short 10-minute train ride to the Bronx and a convenient 20-minute train ride to Manhattan. With that being said, an average rent in New Rochelle should cost you anywhere from $1,300 to $4,000. Also, the crime rate is nearly 20% below the national average. Hence, New Rochelle could be the best choice for people looking for a peaceful neighbourhood, modern amenities and close proximity to New York City. Budgetary restriction is nothing new when it comes to rental apartments and housing in Westchester County. While, you always tend to look for a place that has access to supermarket, banks, hospitals, and schools – if life in New York City looks a little claustrophobic, try finding an apartment in New Rochelle. You will be pleasantly surprised at all you can access from its ideal location. The Big Apple City, a city of vast possibilities and diversity, New York City never stops intriguing those who want to visit it at least once in a lifetime. On the contrary, moving to the city is entirely a different ballpark – especially Manhattan. It may intimidate you for a while but that’s okay! Know that you are moving to one of the best cosmopolitan cities in the world. Prior to your moving to Manhattan, you may look for Apartments for rent to narrow down your list. It may sound little too much in the beginning, but once you move in, you’ll know there are plenty of other things to consume your mind. Neighborhood populated with 8.5 million people. If you have affirmative answers to those questions, you must engage in on-the-ground research. A short-term rental may sound itchy in the beginning, but this can be your best shot. Stay there for a while until you find a preferred hideout. It allows you to learn more about the place that you just couldn’t grasp enough through Google-ing. It can be anywhere around from distance-to-subway to the selection of your closest supermarket. Also, you’ll get to know how your neighborhood feels like at night. You sure can learn a lot through online researching but you must not underestimate the significance of the offline intangibles. Once you are assured you’ve landed in your desired neighborhood, learn about the building before signing the lease. You cannot get enough of New York City until you leave Manhattan. So, now that you have found your most wanted hideout from the narrowed list of Manhattan apartments, it’s time to explore the other part of the city. More often than not, people associate the New York City with Manhattan only. Nevertheless, the city has more to offer. Speaking of which, the neighboring boroughs include Brooklyn, Queens, and Bronx. It matters not, how many times people tell you that they’ve been to the city and explored every inch of it, but the city never stops amazes you. Every day is a new experience and bustling life in the crowded city always carries on. Taxis are in general, little expensive but still are a good convenience for your office to apartment transportation. Apartments are also expensive, but they are worth the price because of the modern amenities they contain. Subways, local supermarket, and public transportation are also normal conveniences. If you are looking for easy transportation to Manhattan with all the conveniences of a walkable city but much more affordable, try New Rochelle! The city of New Rochelle has several modern apartments located next to the metro north train station with a short 25-minute train ride to Manhattan. The New York City is known to have the modern luxury that you crave for in a rental. Even though moving to the city may seem like moving a mountain, with time it gets easier. Hope this blog helped you in your hunt to find a good apartment in a desirable neighborhood.